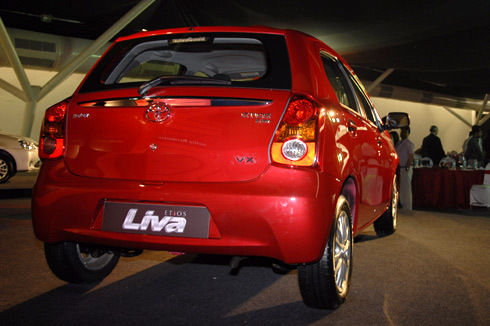 Etios Liva is available in four variants G, J, V and VX. It is powered by 4 cylinder 1.2 litre petrol engine that can produce 50BHP of peak power. The 1.4 litre diesel engine car will be launched later. The car comes with curvy exteriors, bold styling and delivers outstanding efficiency, durability and comfort. It delivers good mileage in city as well as on highway. 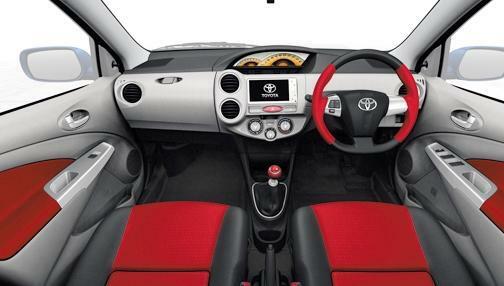 It is also equipped with foldable rear seats and sport steering wheel. The car will be available in 7 shades which are symphony silver, serene blush, vermillion red, white, ultramarine blue, celestial black. The model is likely to be released on June 27, 2011. However, the prices vary according to different locations depending on the dealer as well. Features: base variant comes with ABS(anti braking system), dual SRS airbags, driver seatbelt warning, EBD, etc. Features: Standard features of the base variant along with power windows, tubeless tyres, central locking, electric power steering, immobilizer and keyless entry. Features: Standard features of variant G along with some additional safety features ilke ABS, EBD, driver seatbelt warning, dual SRS airbags. Features: Most of the standard features and additional features like rear defogger, tachometer, audio controls on steering wheel, chrome garnish on bot, chrome accented air vents, door ajar warning, dual SRS airbags, remote fuel lid opener. There are alloy wheels also. 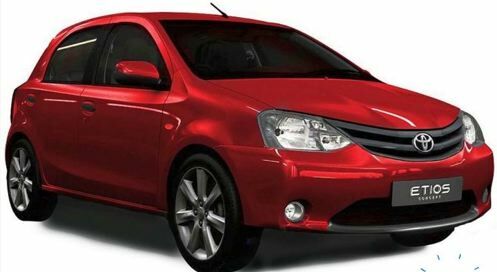 Features: This top end model includes all the standard features and safety features. It is equipped with roof spolier and alloy wheels.